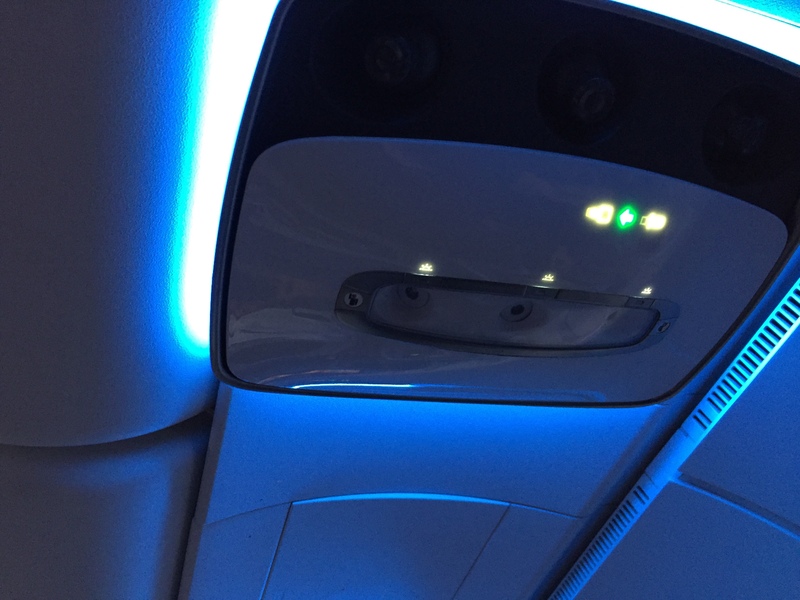 I experienced a mildly space-age overhead bin situation this past weekend on a flight home on Delta. I had booked economy seats home on Delta #1106 and we boarded as usual (zone 1 due to our Skymiles Credit Card). I knew we would have overhead bin space because we were getting on earlier than many others. 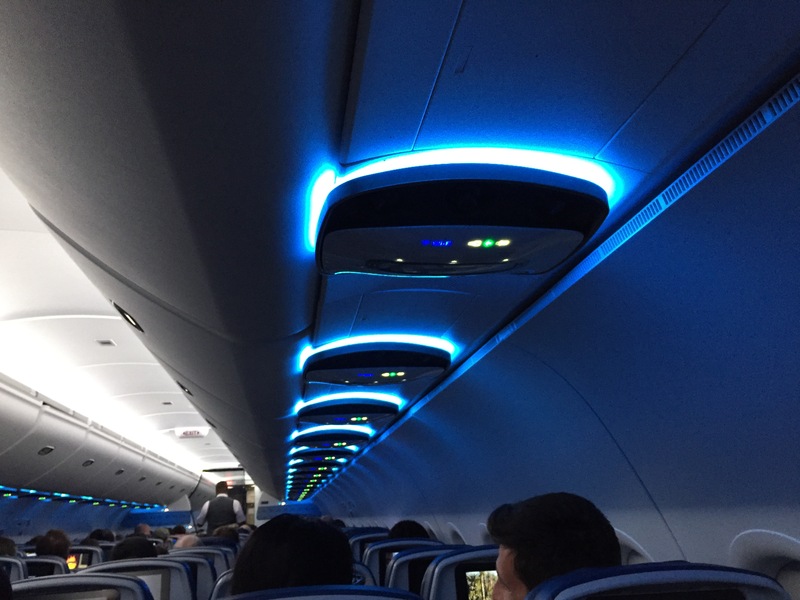 When I got onboard, however, I quickly noticed a) there was more overhead bin space and b) the overhead fan, light, and attendant button looked a bit different. 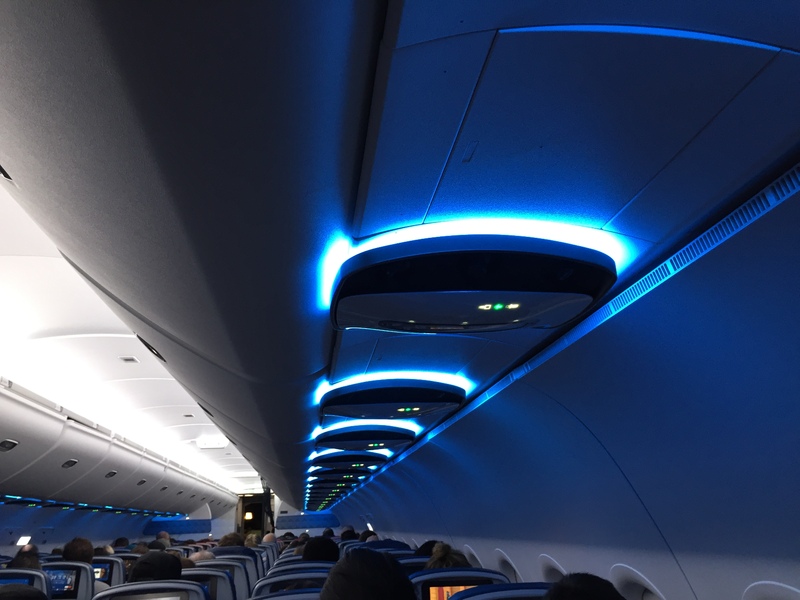 The lighting working similarly to a Boeing 787 Dreamliner (smoothly transitioning off and on) and the place where there would normally be old-looking light switches and whatnot was replaced by something that looked brand new. 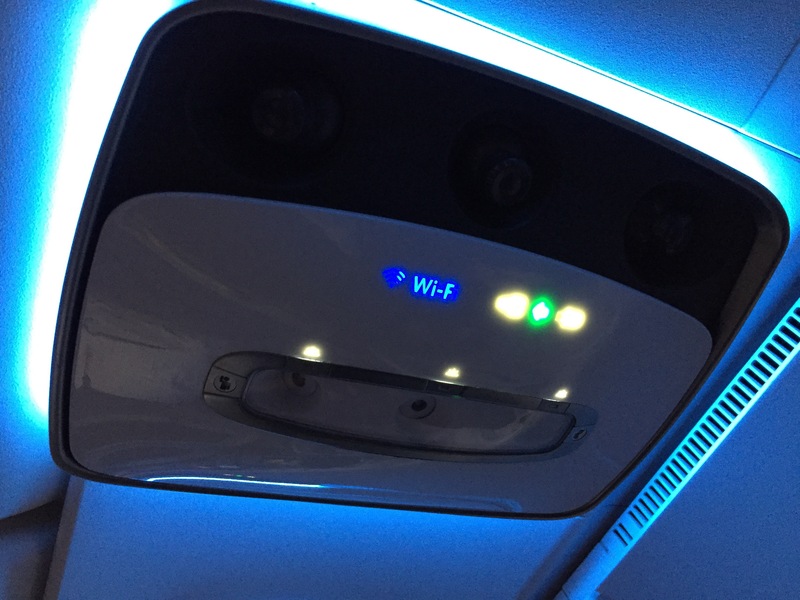 In fact, there was one other major upgrade: when we reached cruising altitude, it told us when the Wi-Fi was available! The only downside was this contraption was less centered for the three seats on each side so the aisle seat passenger will be reaching over the middle seat passenger to turn on/off lights and fans. My guess is no one will make a huge stink due to increased overhead bin space.